Today you save per room €19.00. This way your flight to Crete will be even cheaper! Today you save per room €18.00. This way your flight to Crete will be even cheaper! 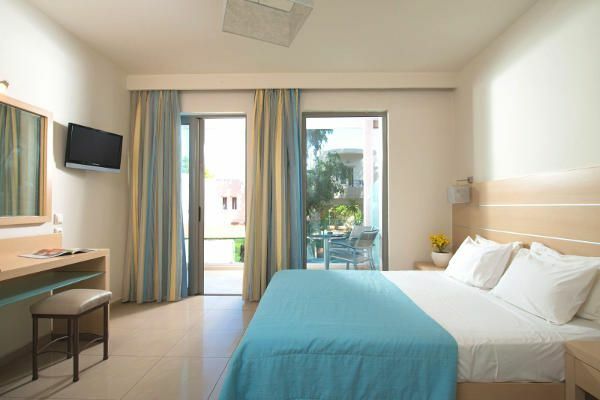 The double rooms in Corissia Beach Hotel are located in several surrounding buildings, only 1-2 minutes walk from the sandy beach of Georgioupolis. Our double rooms contain a double bed (with separate mattresses) and are best suited for 2 guests.